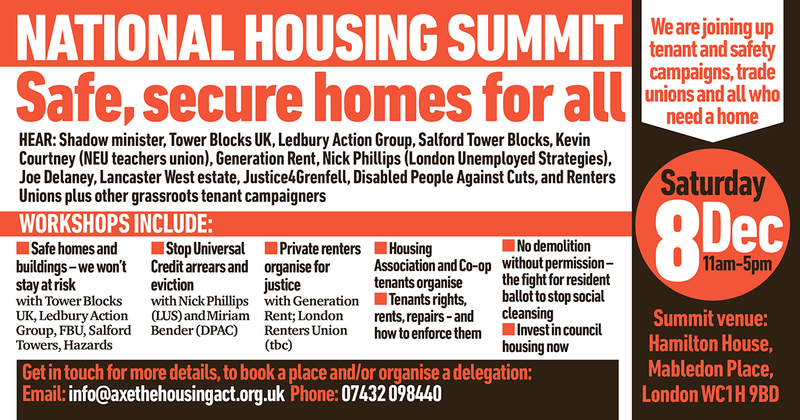 Support and bookings for our National Housing Summit 8 Dec are mounting – the Fire Brigades Union, TUC London East and South East, Generation Rent and London Renters Union are the latest to confirm they are taking part. 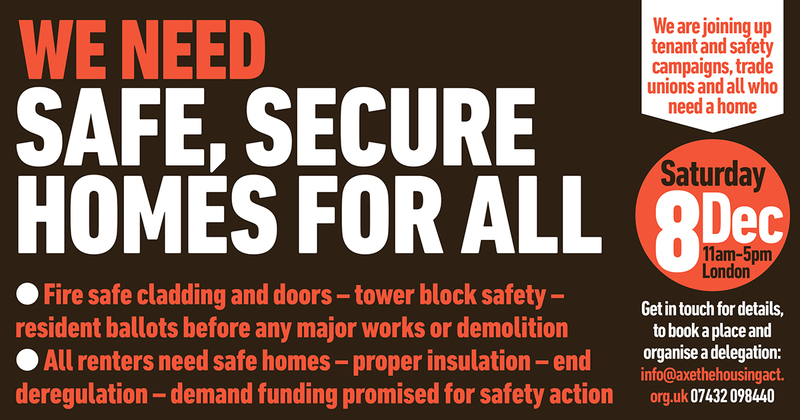 We aim to include an extra session on the rising use of Temporary Accommodation. and by email, and get in touch if you want leaflets sent to you. 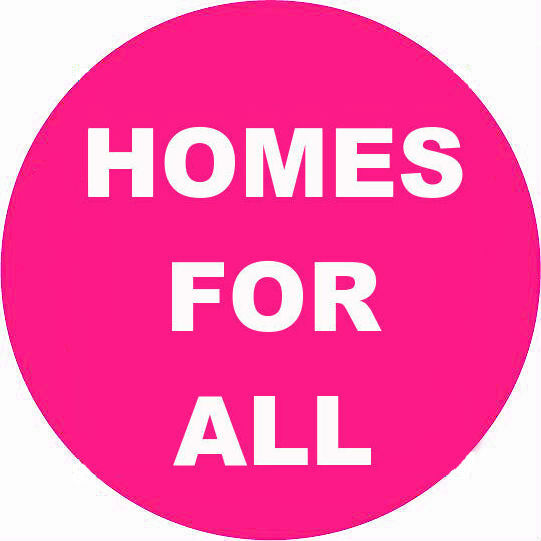 We’re also planning a ‘Housing and Health’ half-day event in Feb 2019 – let us know if you want to get involved in this.